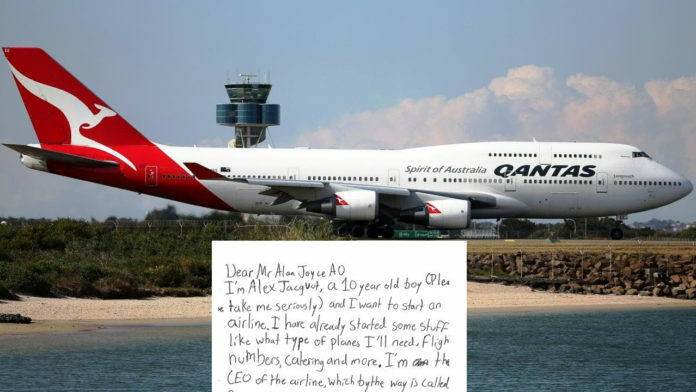 10-Year-Old Writes Adorable Letter to Qantas CEO Who Responds with an Awesome Letter of His Own! A ten-year-old boy has written to the CEO of Qantas asking for advice on how to get his own airline off the ground and has received the most wonderful response from the head of Australia’s biggest and most successful airline. Alex Jacquot, having pondered some of the finer details of his airline, Oceania Express, decided that he needed a little specialised help. 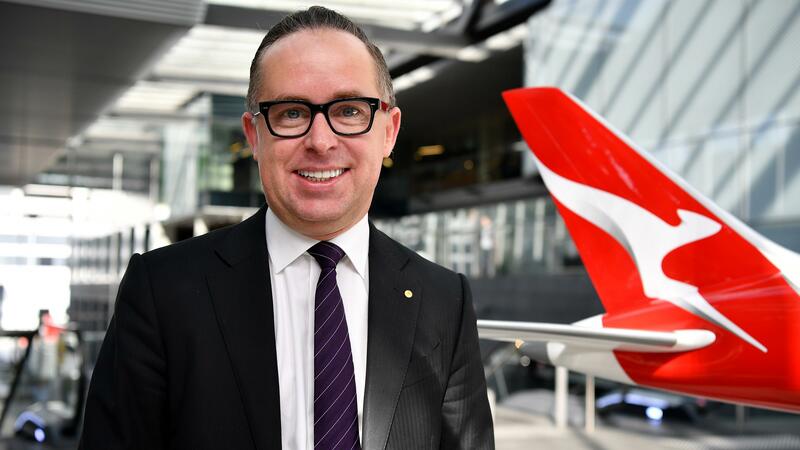 And who better to ask than the Chief Executive Officer of Qantas, Mr Alan Joyce AC? 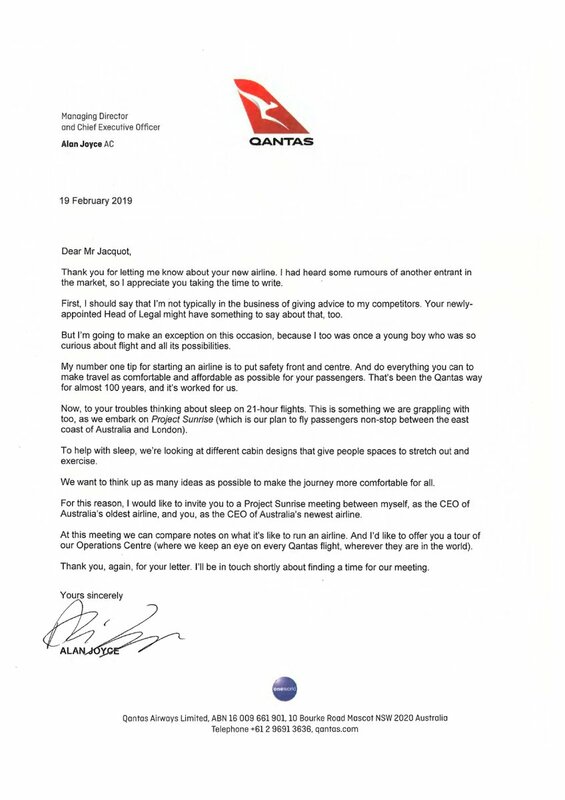 Now, if Alex’s letter wasn’t just the most wonderful thing you’ve read today, the response from the Qantas CEO might be! 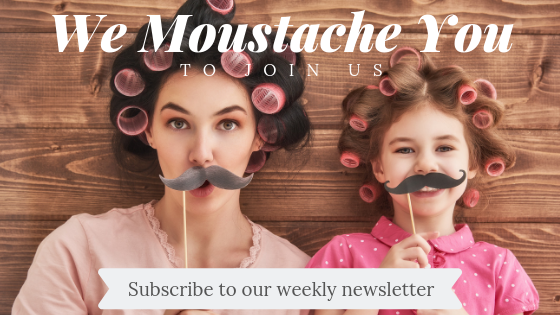 Alan Joyce AC, who received an Order of Australia medal in 2017, penned the Year 4 student the following letter, answering some of his questions and making young Alex the most amazing offer ever! It must take a lot of bravery to just randomly hit up one of the most successful businessmen in Australia for advice on how to run an airline, of all things, and it certainly paid off for young Alex. “He’s got notebooks full of flight numbers, he’s sorted out the menus on different flights,” she told The Australian. 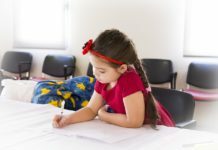 “They have regular meetings at school planning whatever aspect they need to plan,” she said. Ms Jacquot says they are now waiting on a confirmation of the dates for Alex’s meeting with Mr Joyce. Next articleJennifer Lopez Receives $4 Million Engagement Ring From Alex Rodriguez Proving Her Love Definitely ‘Costs A Thing’!